Ready for a confession, guys? We use WIC. If you're not sure what that is, NYS defines it as "a supplemental nutrition program that provides food and services free of charge to eligible women, infants and children." For more information, click here. Why is this a confession? I'm not sure. We use it because it's part of doing foster care. 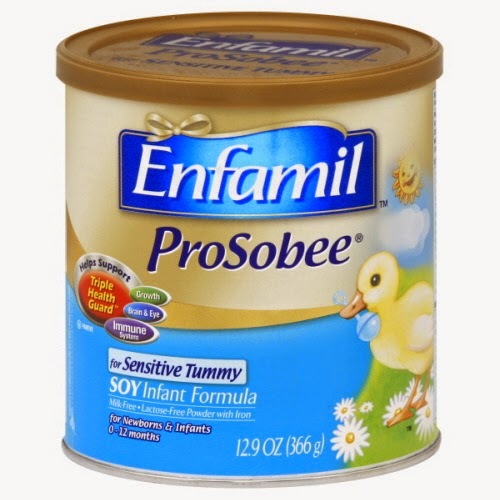 Josh and I couldn't afford babies in and out of our home (often on special formulas) without the help. I so appreciate that Monroe County tries to take away every possible financial excuse for not being a foster parent. You don't have to have extra of anything except space, and even then, probably not as much as you'd think. (Clarification point: You don't get rich doing foster care, either. We're still in a two bedroom apartment.) We have friends not doing foster care who use WIC, too. There are good and legitimate reasons to use WIC. We're talking $17.49 for three days' worth of food for Baby S.
But other people don't know why we are using WIC, and it is often humiliating to use WIC checks at checkout time. People are not gracious. People judge. Cashiers show attitude and make it clear that this is holding up their line. Not everyone is rude about it, but a lot more people are than I expected. There are the eye rolls, the exasperated sighs, and the people dramatically walking away as soon as I take out the checks. It's embarrassing. I understand that processing WIC orders takes extra time. I understand because I am also waiting extra time for my WIC order to be processed, often with impatient children in tow. I apologize to the cashier and the people behind me for the inconvenience, because I understand that we are busy people. It's not just the impatience, though. There's an attitude of judgement when people see those checks. It's almost like people need me to understand that I'm doing something wrong. They take away my dignity with their expressions and their attitudes. They need me to realize that I'm not only taking up their time, but also taking resources that don't really belong to me. And it doesn't surprise me. I hear this attitude often enough. It comes off as politics. I'm not here to say whether or not this is a good system. And I am absolutely 100% aware that there are people who take advantage of the system. There are also a lot of people who were born into this cycle of poverty, are surrounded by friends and neighbors who are still in this cycle, and have very little support or encouragement to break out of the cycle. I wonder, no matter your political leaning, how helpful is it to express frustration or disgust at that person in line? Maybe it's a foster parent. Maybe it's a single parent who's trying to be a good provider despite little or no support. Maybe it's a young parent who was faced with aborting their baby or depending heavily on government support. Maybe someone lost their job and is trying to regain employment. Maybe there is illness or mental health that is preventing someone from providing for their family. Maybe the parent is just starting out and needs that extra help for just a little while before getting on their feet. But even if you're behind someone who is genuinely just trying to get out of working, will treating them like "that kind of person" really help? There are really people out there who have never had a positive support system. There are people who really don't see any other option. There are people who see themselves as incapable, have been raised to believe they are incapable, and are treated like helpless children by the very systems that are supposed to be helping them break this cycle (believe me, I've been to some of those offices...). Maybe they are so deep in the cycle that they will never be, by our definition, a worthwhile person. But that is EXACTLY who Jesus came to save. That is me in a million different ways. I find my worth in Jesus. Maybe that person in front of you in line needs to find worth in Jesus, too, before they can ever start to change. Maybe no one has ever treated them like they could have worth before, and being the first person who gives them back their dignity might open doors you don't even expect. When I pull the foster parent card, people change. All of a sudden, I'm a hero instead of a mooch. Honestly, it's equally uncomfortable. I appreciate the sentiment but I do not agree. Baby S is a real person with a real story, with a parent who is trying and really loves their baby. I am not trying to be a savior. I am trying to reach in to the mess to help give someone a boost out of that cycle of pain and poverty because, by God's grace, I have never had to live through that myself and I have the ability to give. The fact that people's attitudes instantly and dramatically shift when I am a foster parent and not just "that kind of person" makes me very sad. I don't think it should be this way. There are people I love who have needed WIC, and it hurts me to think of how they may have been treated. Not only that, but I am not a better person than them because I am a foster parent. A family that is holding it together and making it together should be validated at least as much as a person who takes a child from a broken home. Isn't that initial wholeness the real goal? There was a person behind me in line yesterday who was actually nice to me while I was waiting for help with WIC checks. The person behind him saw my WIC checks and did the exasperated-sigh-I'm-leaving thing, but this man stayed. He chatted and joked about baby food. He talked about raising his own kids. He moved on to say that WIC must be such a help when formula is so very expensive. He didn't know I was a foster parent until the very end of the conversation. He just treated me like I mattered and like I was a good mom, WIC checks and all. And it stood out to me so much that I am still thinking about it today. I don't want it to be that unusual for someone to be kind to the person in line with WIC checks. And I am going to try to make an effort not to be the veering-away-with-obvious-annoyance person. I can almost guarantee that I've been that person before, honestly. But now I'm standing on the other end, and it is not pleasant. Maybe the person in front of you shouldn't have WIC. Maybe they should. Your reaction isn't going to change whether or not they qualify for the program. But you might encourage someone in a way that helps give them the motivation to work through this. Because if they're using WIC, things are probably a little tight and possibly a bit tense. So please, please, try to treat them with dignity and kindness. I can now tell you from experience that it can change someone's whole day.